It is also called as “otitis externa”. Swimmer’s ear is an infection of the ear canal, the tubular opening that carries sounds from the outside of the body to the eardrum. It can be caused by different types of bacteria or fungi. It may be sudden and short-term or long-term. It usually develops in ears that are exposed to moisture. It often happens during the summer months, when lots of us are enjoying water activities. People who don’t swim can also develop it by scratching their ear canals when they try to clean their ears. The main sign is severe ear pain that gets worse when the outside part of the ear is pulled or pressed on. Sometimes there is itching in the ear canal before the pain begins. The outer ear might get red or swollen, and lymph nodes around the ear may get enlarged and tender. Sometimes, there is a greenish-yellow discharge of pus from the ear opening. It can be hard to hear in the affected ear if pus or swelling of the canal begins to block passage of sound into the ear. The patient is diagnosed with a history and physical examination of the inside of the ear. Any drainage may be examined under the microscope to determine the type of infection. Medication prescribed for symptoms relief, cleaning the affected ear, antibiotics, topical ear remedies, or acidifying, antiseptic, or anti-inflammatory agents. 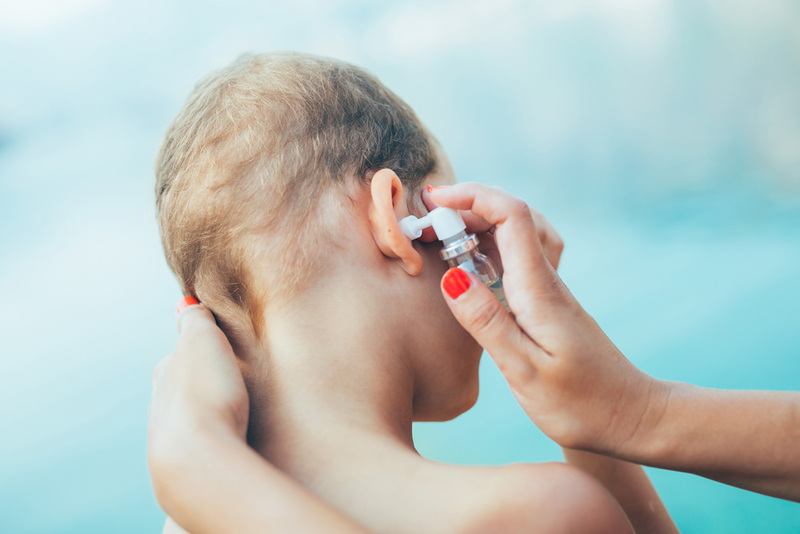 Pain from swimmer’s ear usually goes away within 24 hours after medical treatment begins and the infection typically clears up within a week. Cleaning your outer ear canal is necessary to help eardrops flow to all infected areas. Medication such as acidic solution, steroid, antibiotic and antifungal medication. During treatment avoid swimming and scuba diving, avoid flying, do not wear an earplug, and avoid getting water in your ear canal when bathing. Keep ears free of moisture during swimming or bathing. Use a dry towel to dry your ears. Do not use cotton swabs to remove ear wax. After swim or shower, shake head to remove water from the ear canal.